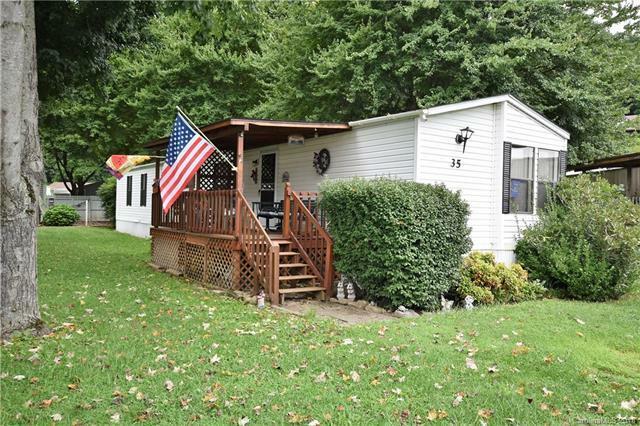 This is a single wide mobile home located on a leased lot in Ferguson's mobile home park. the current lease payment is $200.00 per month which also includes mowing of the grass, trimming of trees Etc Etc. The home was purchased by the current owner and has been very well maintained. The home comes fully furnished and ready for the new owner. Bring your clothes, tooth brush, coffee and food and you'll be set. It also includes a room edition which can be used for an additional bedroom, family room, office, sewing room, or what ever you might need. It also includes a screen room on the back. This is a perfect summer home for someone who just wants to be here for the summer or it can be used as a full time residence. Very easy access year round. Close to everything including Asheville and surrounding areas. About 5 minutes from Maggie Valley Country Club and golf course, and 15 minutes to Cataloochee Ski Area and Ranch. Come enjoy the "cool" mountain experience. Sold by Mountain Dreams Realty Of Wnc.